If you have been charged with a property crime in Delaware, you may be facing jail time, fines, and community service, among other consequences. And a criminal record can have a negative impact on your life for years to come. 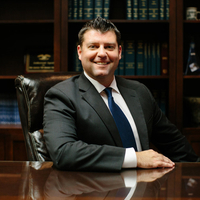 If you have been charged with a property crime in Dover or throughout Delaware, it is important to hire an experienced criminal defense attorney to represent you. Police officers do not always wait to understand a situation before they make an arrest. They may also “overcharge,” which means making more charges against an individual than may be necessary. Overcharging may increase the odds that one or more of the charges will lead to a conviction. Think of it as a “throw it against the wall and see what sticks” approach to criminal justice. If you are being arrested for a property crime, do not talk to the police! Contact an experienced criminal defense attorney right away. If you gave a statement to the police or otherwise spoke to the arresting officer, it is even more important that you hire your own representation as soon as possible to determine the best way forward with your case. They do not say “anything you say can and will be used against you in a court of law” for nothing! They really will use what you say against you. We believe that an error in judgment should not ruin the rest of your life. We will work thoroughly and methodically to understand the details of your case. If law enforcement or the prosecution violated your rights at any time during the process, we will bring those facts to light as part of a carefully crafted defense strategy. If you have been accused of a property crime, you need a dedicated criminal defense firm with years of experience helping the citizens of Delaware. Contact us today for your free consultation.